There are eight traits that distinguish the "flow state" from the rest of the continuum. Recently I had a friend, a musician, who asked me how he could reach “The Zone” on a regular basis. If you have ever had this experience, you know The Zone is a real thing, an altered state in which everything seems to go on automatic. You are more or less an observer of the action, and there is a feeling of calm not normally felt. You are totally focused on the task, and things seem perfect. This phenomenon was first scientifically demonstrated in the 1970s in shooters when increased brain alpha waves (which are a sign of relaxation) were recorded as they began to concentrate. 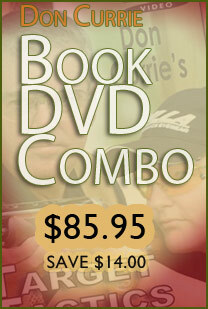 It is notable the subjects used in these studies were all international level rifle shooters. This is important because reaching The Zone is more common at the highest levels of any expert domain. The Zone is an altered state of mind, which may sound exotic, but we are constantly entering altered states in our everyday lives, we just don’t realize it. The human brain is normally in a state of mild alertness with one eye on our daily tasks and one ear open for any environmental changes or danger. For the most part, this state is not looking for objective danger. It is just keeping an eye out and, when something different happens, we are drawn to it immediately. A good example is an unexpected loud noise, which causes a reaction that moves our eyes in the direction of the noise, increases our heart rate and alerts us. The state of mild alertness, mild focus and no particular concentration preceding the alert is our “normal” state. Virtually every other function is an altered state of some kind. Altered states are hallmarked by an increase in concentration and focus, more tunnel vision than the normal state and the use of working memory to help assess what is going on. Good examples are driving, reading and listening to music. The brain goes back and forth from a normal state to some kind of altered state on a regular basis during the day. We do this without thinking about it or preparing ourselves first. Most of the time we are engaged in activities that are easy to do and require little training other than what we learned as children. When these activities are more deliberate and complex — which means we have to train for them — then altered states require some preparation to achieve. Shooting at a target in a match is one of these tasks. Any shooter who has trained to compete deliberately goes into an altered state. Most of us have a consistent routine that helps with this task. We step up to the line, set our feet, visualize what will happen, take a breath and call for the target. At that point, all of our focus is on the emergence of the target, and the breath helps the brain enter into an altered state. So is this The Zone? No, because altered states are a continuum. We still retain the alertness seen in our normal state to some extent, and the environment intrudes, especially in the beginning of a task. That’s why we seem to “relax” after a few shots, shots that may determine our scores in the end. 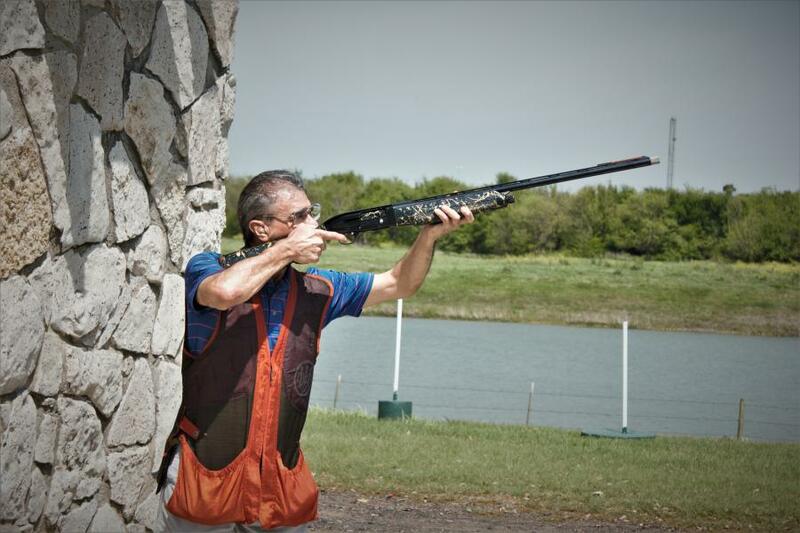 Most of us gradually move into the altered state of shooting a target and very commonly alternate back and forth with our normal state between shots. This yo-yoing can influence how effective you are in a match because you are starting from scratch each time you shoot. In experienced and expert shooters, this is not as important as with novices, but it is a major factor as to why most of us don’t reach The Zone very often. Because altered states are a continuum — you can reach deeper and deeper into the altered state with The Zone being the ultimate end point — there is a possibility of training yourself to attain a more-focused and less-distracted state more quickly when needed. This is a skill like any other and requires hard work and layered learning. The initial state is a normal response to the task. We tend to concentrate and focus when we do things, and shooting a target in a match is no different. But that response is more or less superficial — this depends on prior experience, talent and the environment, of course — and can be enhanced through work and guidance. This requires some ability to see where we have to go in order to achieve a deeper, more productive state of mind and then to find a way to go there. Most shooters don’t think about such things, but coaches do. If we are capable of enjoying shooting in a match, we have the motivation to do this. A long-winded explanation of the inner workings (as I am doing here) is probably not as effective as just telling you to “Concentrate!” (If a coach tells you to do that, you probably will.) It is helpful later on, when you are parsing out what is the best way for you to succeed, to know these things, as they give you some structure to your training. The ability to enter a more-effective altered state is an advantage and will lead to improvement. There are no secrets here. The more we practice in a focused manner, the more likely brain and body function will tend towards a more-focused state of mind. The better the skills, the more likely they will be automatic in spite of distractions, such as match pressure. The more experience we have in matches, the more likely we will develop solutions to the distraction problem. In other words, the better you are, the more likely you will be able to reach the ultimate state, The Zone. It’s not a coincidence the masters of a field enter into The Zone more often. Michael Jordan, Kobe Bryant and a number of other NBA players were able to find The Zone on a regular basis. It turns out, they practiced to find The Zone. This was not happenstance, and they were able to deliberately get into that altered state. Let’s look at what The Zone is. This condition was first described as a “flow state” due to the descriptions of those who wrote about it before it was studied scientifically. There are eight traits that distinguish this state from the rest of the continuum (although some of the traits will be seen earlier). The first is immediate feedback. As shooters, we are trained to know what happened. But in this case, it means you will instantly know what to do without worrying about it, and that decision will be the correct one. There is a complete absence of critical automatic thinking and should be the result of training. The third is all motivation is from personal satisfaction. This is often called mindfulness in that the only thought is here and now, and the only motivation is related to what is going on at that point. The fourth trait is total concentration. We all try to develop our concentration skills and should by literally making every shot count in practice. This will carry over as part of the altered state. The fifth is more of a description of what seems to happen, an altered sense of time. Time slows down, and we seem to have as much of it as we need to carry out the task. This is a result of total concentration in which we are able to predict near-time events (such as the path of the target) without anxiety. The sixth is the ability to rapidly switch between skills as needed. If we are surprised by the emergence of the target, for example, we can switch to another technique without thinking about it. We just do it. The seventh is total effortlessness. This is a reflection of being extremely efficient physically and mentally. Persons who have The Zone experience often report a feeling of being refreshed after the experience is over. Another skill taught is to prepare to go into the altered state much earlier than most people do and to maintain it in some fashion throughout the match. This is why you see pro-football players listening to music as they disembark from the bus. Their concentration skills are being tapped into. When they get into the locker room, there is a specific set of rituals the team goes through before going out on the field. Preparation makes all the difference.